On behalf of the International League of Peoples’ Struggle (ILPS), I extend the League’s most militant solidarity with the ATIK activists currently detained in German prisons charged for their alleged membership in TKP/ML. Their continued detention is a grave injustice and together with many progressive organizations and personalities, ILPS demands their immediate release. 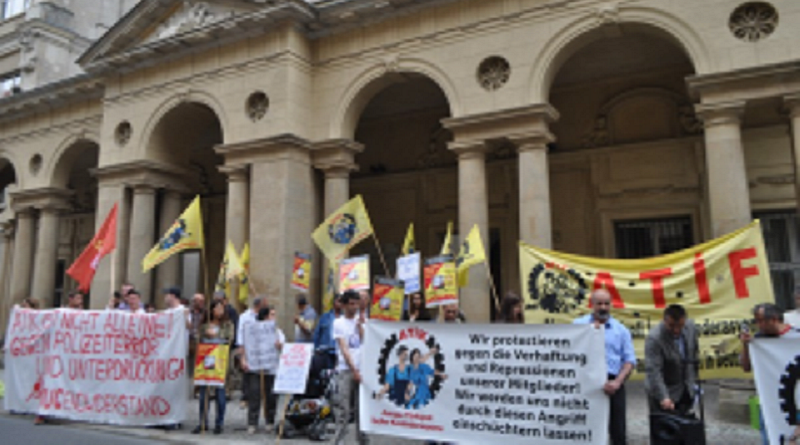 ATIK is a Turkish organization active since 1986 committed to the defense of the rights of migrant workers throughout Europe and is a duly registered organization in Germany. The arrests of the ATIK activists were coordinated between Germany, France, Greece, Switzerland and Turkey. As the main defendant Muslum Elma accurately put it, the arrests were “a gift to the fascist Turkish state”. The Erdogan regime has been guilty of the most vicious violations of human rights imprisoning trade unionists, academicians, human rights lawyers, parliament members, Kurdish activists and anyone who opposes its autocratic and fascist rule in Turkey. The European Union’s utter hypocrisy about its so-called concern for democracy and human rights is clearly exposed by this latest act of persecution of the ATIK activists in order to curry favor to the fascist dictator Erdogan. Under Paragraph 129 a and b of the German Penal Code, no specific punishable acts need to be proven for a conviction. It gives the German Federal Minister of Justice a blank check to determine who to consider as “terrorists”. It is clearly an instrument of political persecution. We, in ILPS., are inspired by the defendants’ spirit of resistance. They have declared that their imprisonment is due to their stand for democracy, socialism, equality for men and women and friendship between peoples.